It’s not easy to teach a cat to read, but one boy tries to anyway in this sweet and silly picture book debut that captures the challenges and rewards of learning to read. Nick, a brown-skinned boy with a puff of curly hair, has two cats: Verne, who is pretty chill, and Stevenson, who makes Grumpy Cat look exuberant. Neither is happy when Nick turns his attention to a book: Verne lolls across the pages, and Stevenson sits on a stack of volumes, cleans his paws, and scowls. 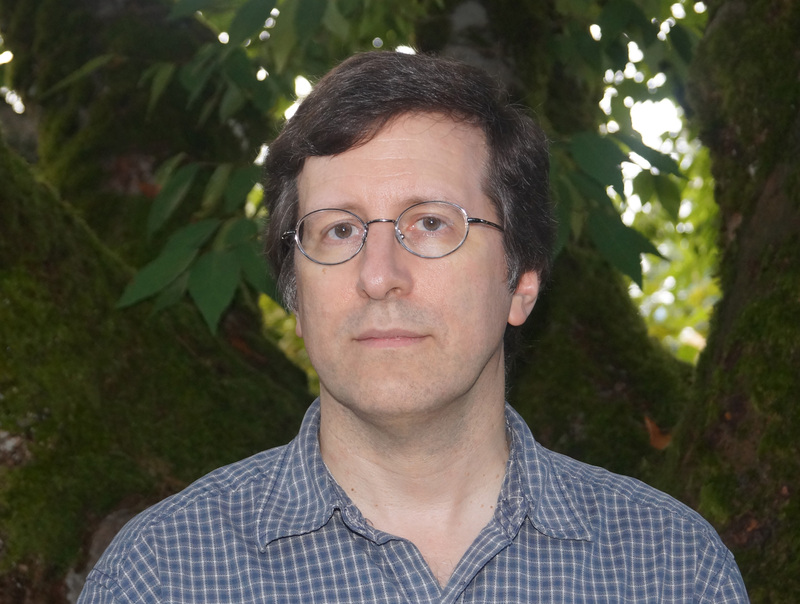 “So Nick decided to teach them to read,” Manley writes, making a marvelous debut—and it works. For Verne, anyway: “He practiced on his own, over and over, even after Nick went to bed.” Soon, Verne has a library card and is borrowing “so many books that Nick could hardly carry them home.” But where does that leave Stevenson? As any former reluctant reader knows, sometimes it takes the right nudge to fall in love with books; here, it’s the discovery that cranky Stevenson is actually an artist. Berube’s softly textured paintings are funny, smartly composed, and deeply moving as she makes the cats’ literary and artistic endeavors seem like the most natural thing in the world. Ages 4–8. Book-loving Nick teaches his cats, Verne and Stevenson, to read in this debut picture book. Nick loves spending time with his cats, but he notices that they seem bored every time he pulls out a book. He decides that teaching them to read will not be too difficult, and quickly makes flash cards with some easy words on them. Though Verne struggles at first, he begins to show interest, but Stevenson remains unenthusiastic. Verne quickly becomes a proficient reader, but Stevenson starts to withdraw more and more when Nick tries to make him read (“ ‘F-I-S-H.See? Fish! Verne loves that word. Don’t you?’ But Stevenson said, ‘Meow!’ and ran under the porch. He hissed at Nick and Verne.”).Once Nick discovers a treasure trove of pictures, drawn by Stevenson, he realizes that he simply wasn’t using the right approach with Stevenson. With a nod to Treasure Island, the author reveals that Stevenson is most interested in being a pirate. Soft acrylic drawings show the right amount of emotion on Nick’s face and on the felines’ as well. VERDICT This quirky tale filled with subtle humor makes a fun read-aloud, especially for cat lovers, literacy lovers, or anyone looking for a great story. The adventures of Nick, Verne and Stevenson hint that differences in cat’s personalities—and maybe people’s—should be accepted and nourished. We can all get along fine if we focus on each other’s strengths. 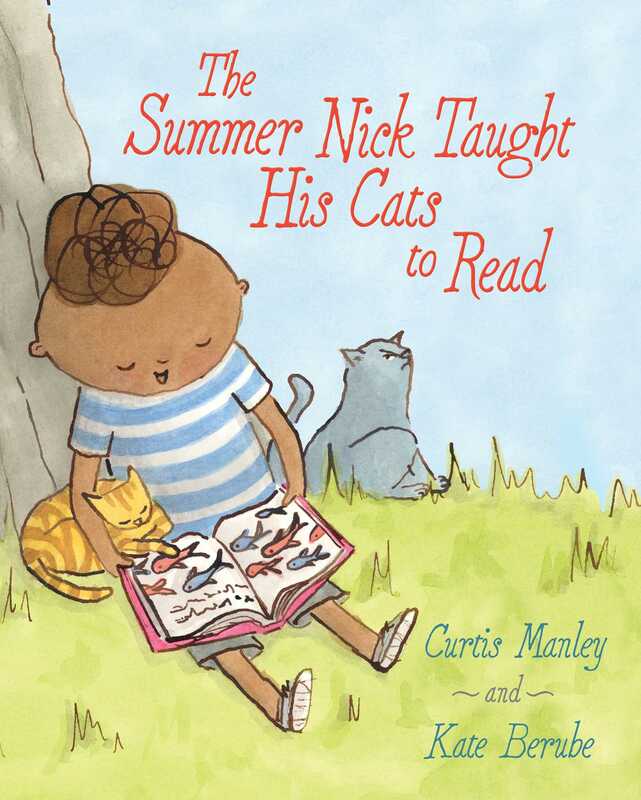 In The Summer Nick Taught His Cats to Read, first-time picture book author Curtis Manley delivers an engaging story that blends seamlessly with Kate Berube’s beguiling drawings. The book is sure to become a read-aloud favorite.